Posted on March 20, 2016 by No Map Required Posted in Art, Art & Engineering, Places, United States, Washington	. Mt. 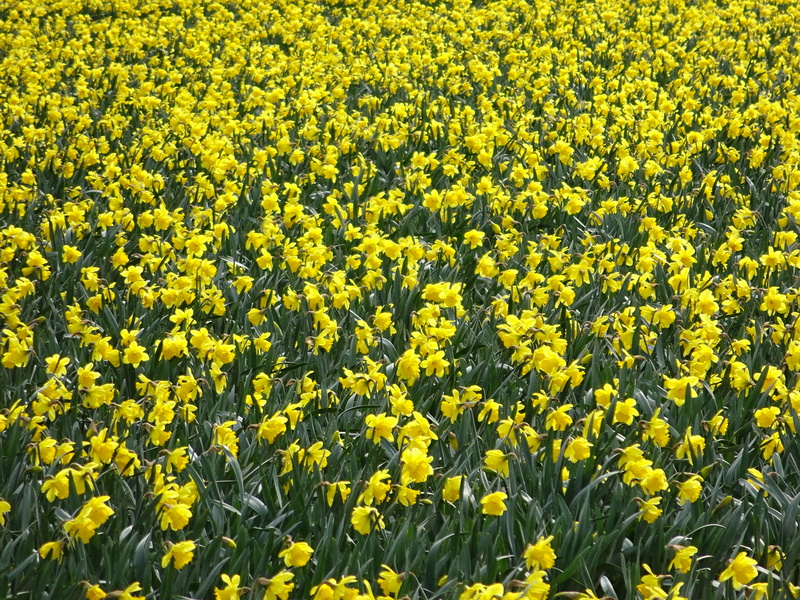 Vernon and the next door town of La Conner are known for two things in our area: daffodils and tulips. Still a bit early to see much in the way of tulip colors so we gloried instead in fields of yellow. Absolutely stunning! Especially with some of the first real sunshine we’ve had in weeks and weeks. Now THIS is the sign of a Pacific NW spring! This was lunchtime back in Tanzania. 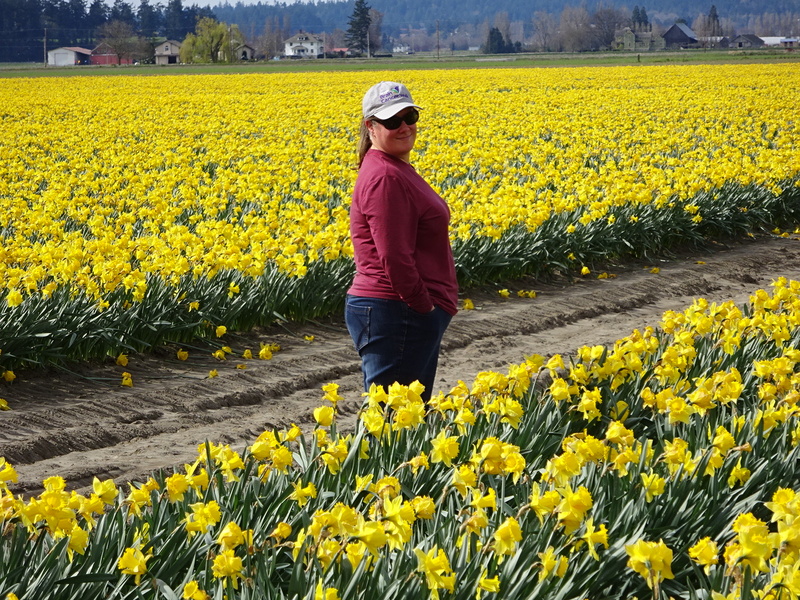 After an hour of driving around the various fields, which we might go back to in a few weeks for the Skagit Valley Tulip Festival, we headed over to Mt. 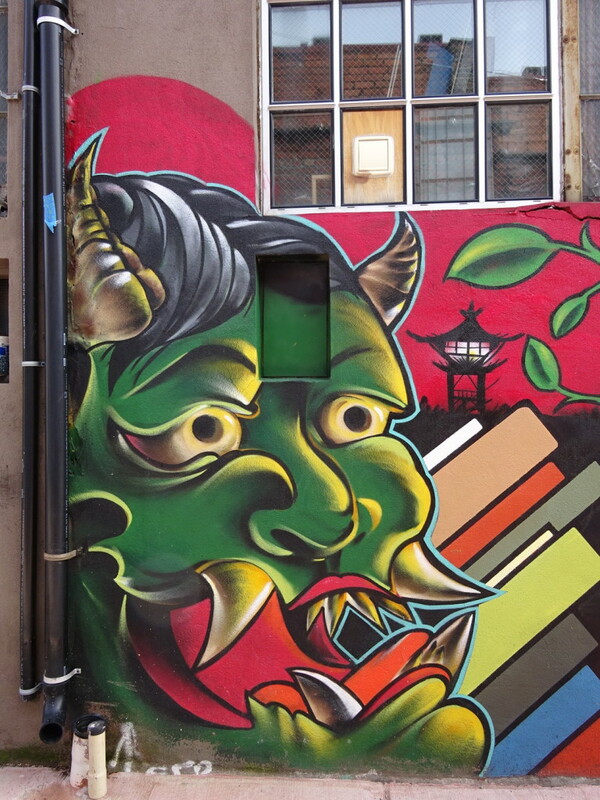 Vernon for our own lunch only to stumble across a little enclave of street art! 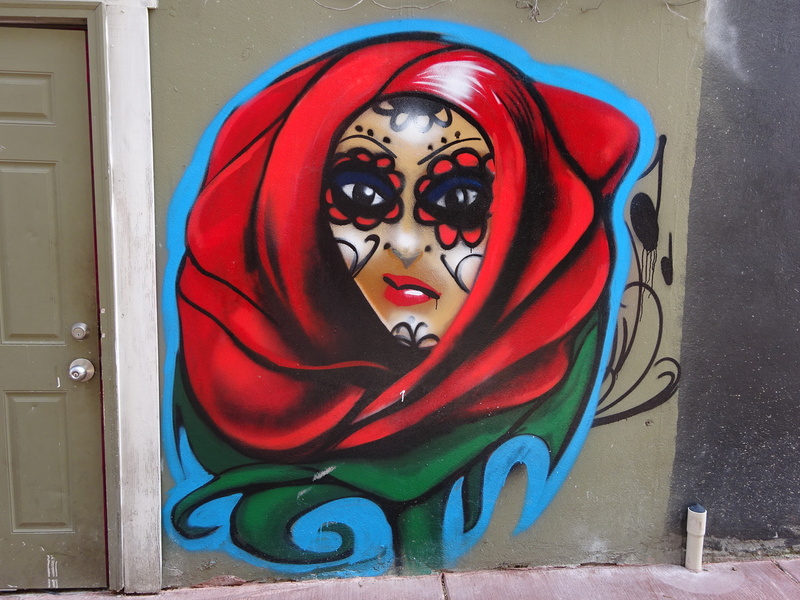 For a few blocks we found mural after mural – magnificent! I can’t tell you much about these artist-wise, but they were a delightful addition to an already colorific day. 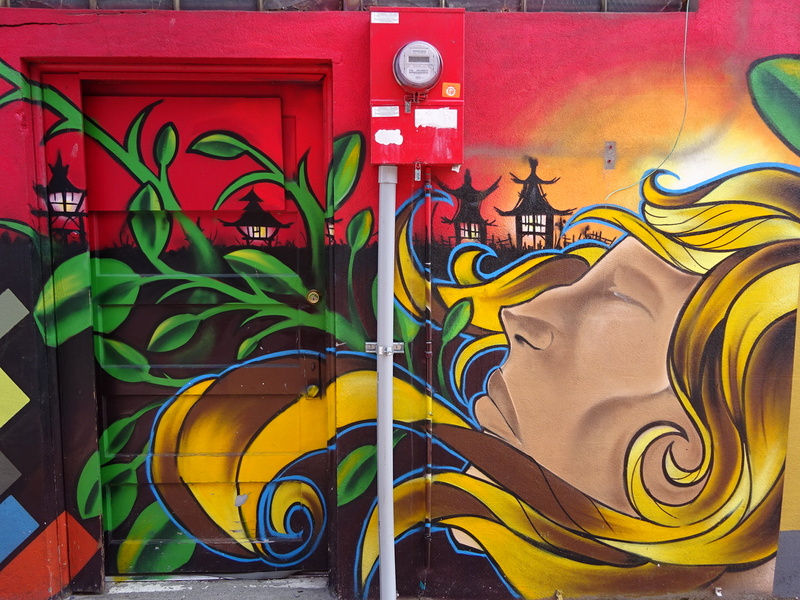 The left side of a wonderfully bright Asian-themed mural. The Pacific NW is known for being a great place to ride and I’ve really enjoyed biking around the flower fields in the past. Nice and flat! 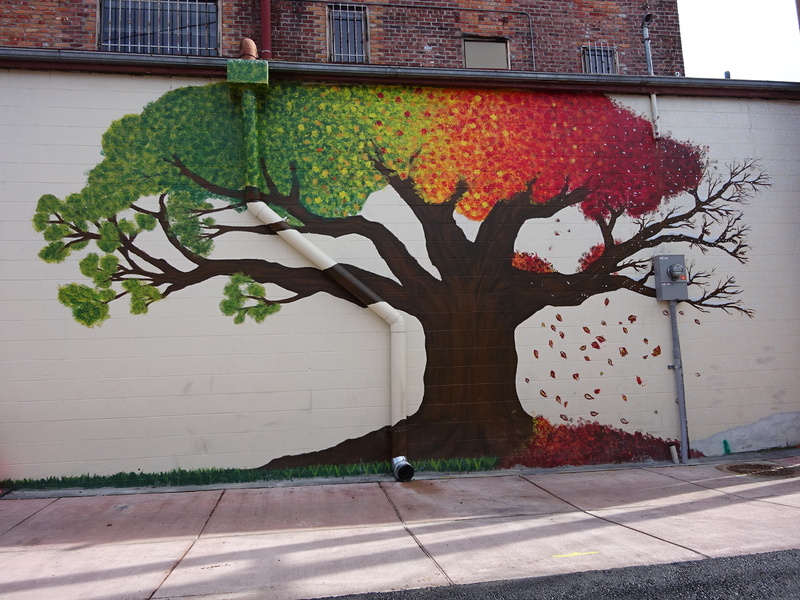 Anner noticed that this tree is going through the seasons from left to right! Awesome! A little rough…perhaps testing out techniques? Love the hair-as-flower effect here! 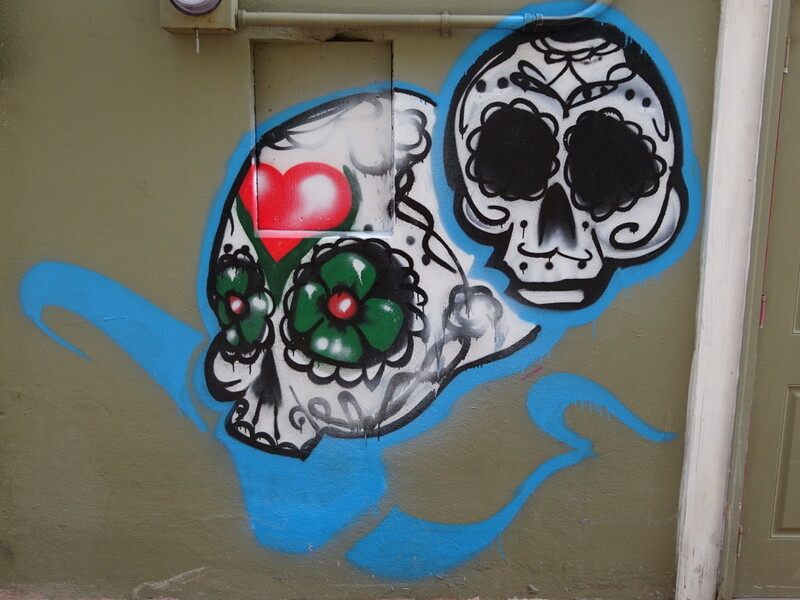 Also wondering if this is the same artist as some of the earlier pieces due to the bright blue outline. After weeks of gray, the bright sun, glowing daffies and shining street art was simply dazzling! How about having days like this every week? Yes, please. 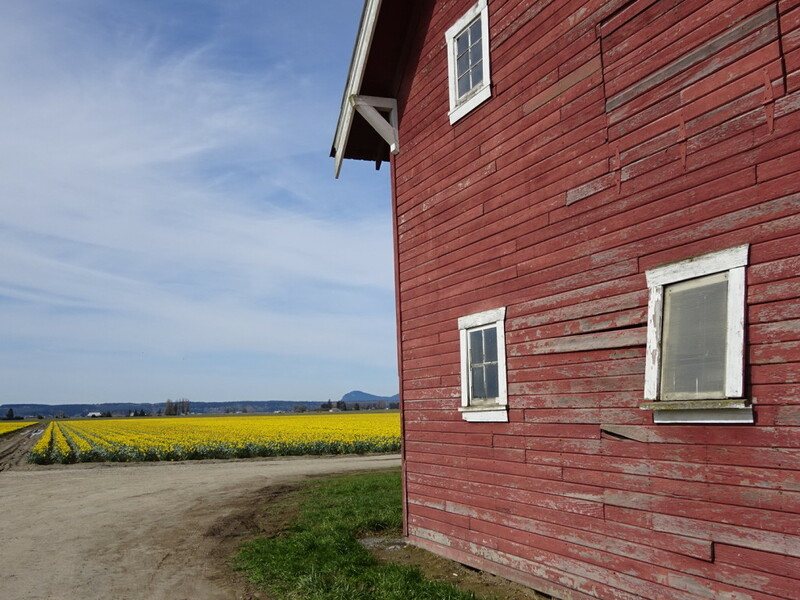 Happily color-saturated in Skagit County. « The Iceland Adventures Continue! 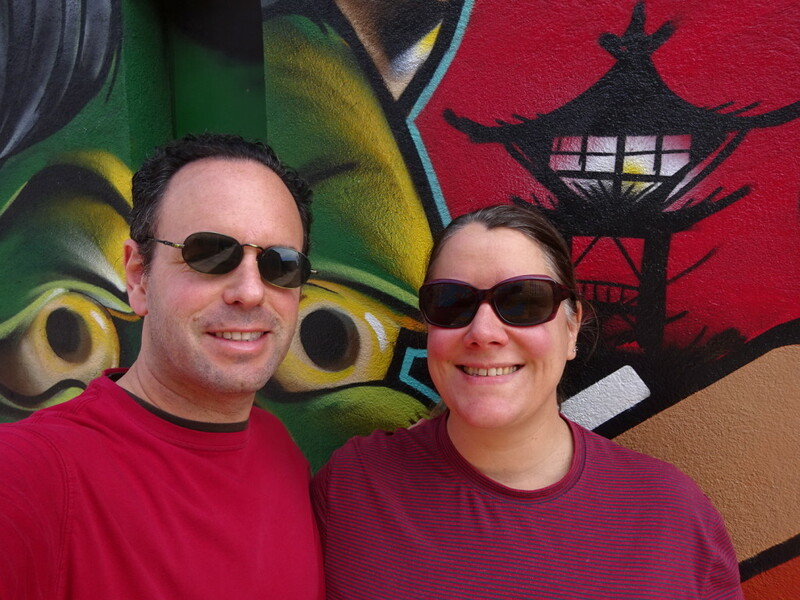 Just can’t keep a wanderlust couple at home. Love the tulip festival with all the amazing colors. LaConner has a small but wonderful quilt museum with amazing artists from both local and national prominence displaying work. 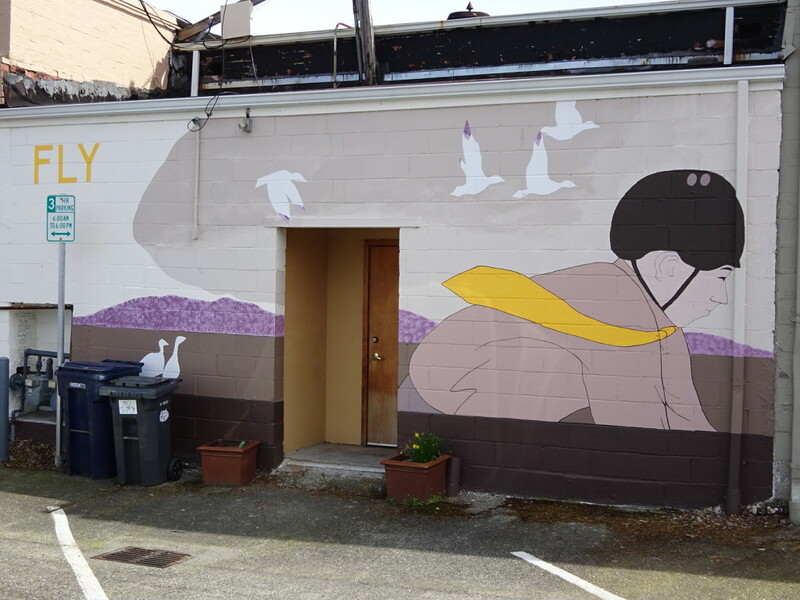 A soft art you might enjoy next time you head for the Skagit. 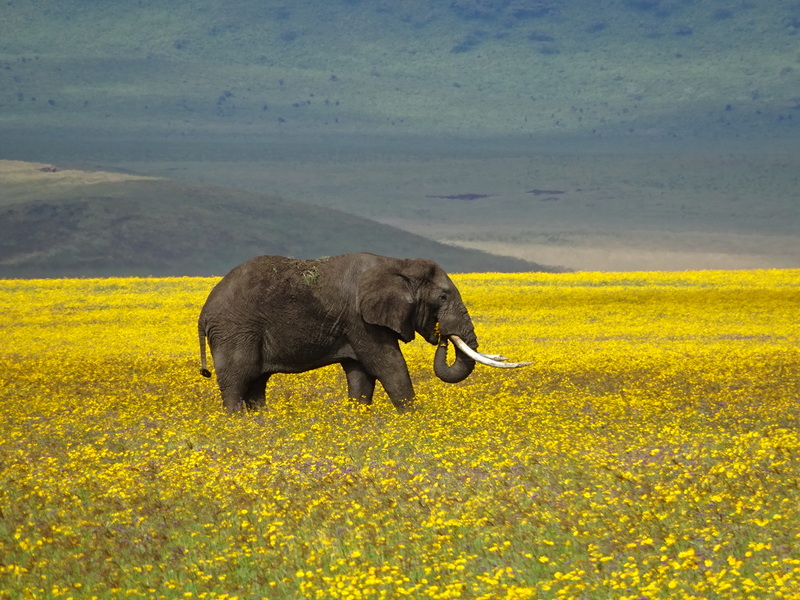 Remembering the elephant in the yellow flowers with fondness for my traveling buddies at the time. You two are great to journey with. The La Conner Quilt Museum is one of our favorites, too! It just didn’t quite fit into this trip. The elephant really was a highlight, wasn’t he? And even more of a special memory remembering you enjoying him with us! See you soon. Color explosions! I love it. You two do indeed take us to beautiful places. Thanks! Our pleasure! We’ll be taking you back to Spain soon as we never did get to all the blogs we wanted to write from there. Stay tuned! If you plan on going to the tulip bloom, do so during the week! It is unbelievable to see the tulips in their ful colors- but it is also unbelievable crowded!!! So true! Going mid-week is much more peaceful, and if you have the chance to tour around via bicycle on a sunny day…heavenly.